The annual ACPN Knowledge Exchange conference is the largest gathering of catalog professionals and their vendors and solution partners. Attended by most major manufacturers, distributors and parts experts in the automotive content space, the ACPN conference provides a focused and unique opportunity to learn, share best practices, network with peers, and interact with service providers in the content management space. At the ACPN Knowledge Exchange, catalog managers can learn how to develop more accurate catalogs, gain insights on more efficient production processes and become aware of new technology and techniques, which will ultimately help them and their companies sell more products, reduce costs and increase efficiencies. First Time Attendee Orientation - Sponsored by Brake Parts Inc.
(Track 3) University Breakout: It’s 2019. Why do we still have internal vehicle tables? (Track 1) University Breakout: How Should 360/3D Images Fit into Your Overall Digital Asset Strategy? (Track 3) University Breakout: Providing Excellent Customer Service: Why the Customer is NOT always right. Meineke Dealers Purchasing Cooperative, Inc.
Denso Products & Services America, Inc.
Steve Kraft is currently Head of Industry for the Retail Sector at Google. Steve's team works with omnichannel retailers across the country to fuel their growth in-store and via their e-commerce platform. Steve was hired at Google in 2007 to establish the first automotive-dedicated office to market Google's latest acquisition, YouTube. After nearly four years working in the Google Detroit office, Steve relocated to Ann Arbor, Michigan and joined the management team for Google TV Ads. In 2012, Steve shifted his focus to the retail industry and was named Head of Industry for Retail. Prior to Google, Steve spent nine years in the magazine industry in Detroit and six years on the Advertising Agency side in brand building for the automotive companies. Steve graduated from the University of Michigan - Ann Arbor with a BA in Communications. Multilingual, international manager with over twenty years of experience outside the United States. Responsible for the auto parts business of Grupo Kuo within Mexico and export markets worldwide. Managing a team of 2000+ employees, including marketing, sales, supply chain, distribution, manufacturing, HR and finance. Grupo KUO, a global business conglomerate with presence in more than 70 countries, our strategy is based on a diversified portfolio and a multicultural team with nearly 20,000 employees. The current portfolio of businesses in Grupo KUO includes three strategic business units: Consumer, Chemical and Automotive (Aftermarket & Transmissions). Grupo Kuo (Dacomsa) is the most respected provider of solutions for the automotive Mexican Aftermarket, covering wide range of products for light and heavy duty vehicles. Manufacturer of product lines as: Pistons, Gaskets & Seals, Brakes and Transmissions under their own brands Moresa, TF Victor, Fritec and Tremec. Eric Papp is the founder of Agape Leadership, LLC, an intellectual capital firm focusing on leadership for business performance.He has a successful history of delivering proven strategies of how people can be productive and increase performance in a complex world. Since 2010 he has worked with thousands of managers and is evaluated as one of the top management trainers in North America. His clients include the National Institute of Health, Homeland Security, Nationwide Insurance, and AAA Insurance. Eric is the author of Leadership By Choice, published by John Wiley and Sons, and 3 Values of Being An Effective Person. He is also the creator of the podcast Ownership At Work, available online and via iTunes. In addition, Eric is a weekly contributor as the leadership expert on News Talk 1530. Jason Riegel is the Director of Product Content for the Americas. Jason joined Tenneco in 1999, serving the end consumer and installer as a member of the Technical Resource team. In his most recent role as the Senior Product Content Manager servicing the Global Aftermarket, Jason was responsible for developing and executing product content strategy across regions. In his current role as the Director of Product Content for the Americas, Jason is responsible for leading the development of product content management and cataloging strategy, bringing alignment to existing systems and processes through the integration of two industry leading organizations while providing best in class content services to the aftermarket. Jason is the recipient of the Automotive Content Professional and Automotive Aftermarket Professional designations through Northwood University’s University of the Aftermarket. In addition, he has held multiple roles within the ACPN since 2014, most recently serving as a Senior Advisor to the committee. He is also an ardent supporter of industry standards development through the Auto Care Association. Mark Seng is the Global Aftermarket Practice Leader for IHS Markit. He is responsible for leading the company’s global aftermarket product development strategy. Seng began his career in 1984 and has over 30 years’ experience in the global aftermarket business. Prior to IHS Markit, he held various positions in distribution, sales, international marketing, and product management for Federal-Mogul. He has earned the Master Automotive Aftermarket Professional designation from Northwood University, served on the Auto Care Association’s Technology Committee, was president of the Automotive Content Professionals Network, and served as a member of the Global Automotive Aftermarket Symposium Program Committee. Rick Urso graduated Southern Illinois University earning an AAS Degree in Aviation Technology and a BAS Degree in Business Management.His career started with Bendix Aerospace as a Marketing/Product Support Engineer for five years.He has authored numerous aviation training manuals and published an article for Aviation Technology Magazine while working for Bendix Electronics Component Division. His second and current career began with the purchase of his first of two Meineke Car Care Centers thirty three years ago in the greater Chicago area. Through his tenure with Meineke, Rick has been involved with numerous committees for the Meineke Dealers Association, Meineke Dealers Purchasing Co-operative, Inc. and Meineke Car Care Center. Former President, Meineke Dealers Purchasing Cooperative, Inc., Current Board member and Product Committee member; Current council member of Car Care Professionals Network for the Auto Care Association; one of the founding members of AARC motorcycle club. Scott Howat is currently directing Automotive Channel Strategy for Syndigo, a content management leader based in Chicago, IL.He did a small stint outside the aftermarket as Vice President of Product and Marketing for Nivel Parts and Manufacturing located in Jacksonville, FL. Prior to joining Nivel in May of 2017, Scott was Director of Sales and Marketing with the Gates Corporation in the North American Aftermarket.Scott joined Gates in the summer of 2014 as the Director of End Market Communication.Scott was responsible for Marketing Activation, Training, End Market Sales Growth/Field Technology teams, and the PT and FP Category Management teams (Product Line Managers), along with pricing support for the North American Aftermarket. Howat graduated from the University of Southern New Hampshire with a BS in Marketing. Prior to joining Gates, Scott had a long and successful career in sales, marketing, product management, brand strategy, and corporate communications at Affinia Group, Dana, and Echlin.Scott has a MAAP with the University of the Aftermarket and has served in leadership positions throughout the industry including Automotive Communications Council, Auto Care Association Marketing Committee, and Chairman of the Auto Care Association Event Committee.In addition, he is the past Chairman of the AASA Marketing Executives Council, and member of the MEMA Government Affairs Committee and Brand Protection Council. Joe Thomas is currently the Program Manager for Automotive at Syndigo, a content management leader based in Chicago, IL. At Syndigo, Joe is a technical subject matter expert that is helping drive the automotive product. Prior to joining Syndigo, Joe held positions in content at Tenneco, Dana, and Fram Group. Joe brings a wealth of automotive knowledge after spending fifteen years in automotive service and a retail/wholesale part counter. He has truly work the full spectrum of the Automotive vertical from manufacturer to repair shop. Joe currently sits on the YANG Advisory Council. He is also an active participant in ACA standards workgroups and a member of AASA Automotive Technology Council. He recently obtained his ACP certification and previously held four ASE Certifications. Primary Job Function: In charge of establishing Data management Processes and Data standardization. From product planning to marketing, sales, service and the aftermarket, IHS Markit provides the actionable insight to make better decisions that drive better results. The Pricedex suite of products provides an end-to-end Product Information Management platform with market-leading functionality. The suite consolidates part and product data from disparate sources including ERP systems, pricing methodologies from spreadsheets, and other paper-based and electronic information from marketing and sales processes. It enables production of rich content, cross-media catalogs and publications, visibility of crucial pricing and other product information to support management decisions across the enterprise, automation of collaborative processes to manage published price lists, and dynamic creation of transactional pricing for ERP and e-Commerce systems. Your Mexico Data Partner since 2010! IDF - Integrate Data Facts is a Michigan-based, research and consultancy firm dedicated to producing business intelligence and guiding decision-making for the automotive aftermarket. The firm specializes in discovery, research and analysis of new data for Mexico. IDF consultants bring their expertise to the challenges of integrating difficult data sets. They stand ready to take up the challenge when nobody else has been able to get it done. NEW: Receiver Portal – Receivers in the automotive space get access to rich product data and can channel all incoming data through one system. Data validation, filtering, export, API access, eBay integration, and delta change overview. Syndigo’s family of companies together represent the industry’s only trusted single-source provider of consumer product information and content from supply chain to end customer utilization, offering a powerful end-to-end product content experience across multiple industries. Melling serves the global automotive original equipment and aftermarket industries and is noted for being a world leader in the design and manufacturing of fluid pumps. Data-Driver provides content management services to manufacturers and distributors in the automotive aftermarket. Our most popular services include yearly catalog updates, Amazon ACES submissions, and complete ACES & PIES catalog setup and management. Dirxion is a leading provider of online publishing for catalogs. Dirxion builds a responsive, HTML5-based replica of the printed catalog that is connected to your website e-commerce pages. In an ever-changing Internet landscape, Dirxion adapts through custom developments that create a positive brand representation while increasing online sales. OptiCat, LLC is a leading supplier data management company serving the global transportation parts aftermarket (www.opticat.net). OptiCat is focused on helping the transportation parts supply chain “sell more parts” by putting the Puzzle Pieces together through the acquisition, validation, consolidation and distribution of product attributes, application information, and digital assets. OptiCat serves the needs of Suppliers and Channel Partners, such as parts distributors with programs that power their AutoCare ACES/PIES data to the market with speed, efficiency, and the highest possible quality, while improving business performance. Enhancing brand value via the OptiCat OnLine Parts catalog helps increase sales opportunities and provide higher profits for the transportation aftermarket suppliers and receivers. JNPSoft is an IT Solutions company specialized in the Automotive Aftermarket since 2002. Our combined team of developers and product managers offer key knowledge of the industry, making JNPSoft the leader when it comes to parts management solutions. Experian Automotive has a unique advantage over other automotive data providers. Our ability to integrate our multiple data sources from our credit, vehicle and marketing databases allows for a level of unmatched intelligence. Our clients can see trends and take action before the competition, giving them the actionable insights and a competitive advantage to make decisions that position them to win in a crowded marketplace. The Auto Care Association is the voice of the $392 billion plus auto care industry. We provide advocacy, educational, networking, technology, market intelligence and communications resources to serve the collective interests of our members. Founded in 1931, Adair is a leading provider of marketing and communications solutions for the automotive, automotive aftermarket, educational, publishing, health care, and other industries. Our philosophy is based on a content-driven, cross-media approach to design and production. We specialize in handling large content databases and publishing them to print, online and mobile marketing channels. In addition to traditional offset and digital printing, we offer custom content management software and systems, automated publishing tools, online catalogs, iOS and Android mobile application development. Our highly experienced staff and extensive production platform can address a broad range of marketing and publishing for small, medium and large companies. APA Engineering offers Catalog, Data, IT & E-Commerce solutions. Portfolio includes - Data Management Services (Bulk Data Scrubbing, Extraction & Mapping) ACES, PIES & NAPA Compliance, ACES Tools, Bulk Data & Image Processing, Data Research Services, PIM Software, PDF & Web Catalog Services, Ebay & Amazon listings, Competitor Insights & Dynamic Pricing Tools, Custom IT applications, Website and Mobile App Development and more. APA Engineering is an ISO:9001-2015 certified company and a registered member of ACPN. APA Engg. is closely associated with the US automotive aftermarket industry for nearly 18 years. Do-it-for-me data services by experienced auto parts professionals. Data mapping to ACES, PIES, and NAPA Parts Pro. Data validation, holes reporting, and more. AutoNetTV builds trust between consumers and automotive-service professionals, using the finest engaging, educational video content delivered by cutting-edge technology to motivate vehicle owners to perform needed service and repair. Our Company AutoNetTV pioneered the concept of automotive TV content for installers in 2004 and now has grown to over 14,000 customers using our award-winning videos to explain service and repair recommendations to their customers. We believe a majority of neglected vehicle services are due to lack of understanding or lack of trust that may exist between vehicle owners and service professionals. We started with a single purpose—to bridge this gap with amazing content that educates and entertains consumers, engaging them in the process of taking better care of their vehicles and improving their own safety. Some of the largest and most well-respected automotive companies in the world trust us to create and deliver content that meets their needs for awareness, training, communication and sales. We are automotive professionals who speak automotive. EGR, GDI, DEF, DPF—yep, we’ve got ‘em covered. We’d love to help your business communicate and engage with your customers more effectively. Our Team Not only do we have the best quality and largest quantity of automotive service content, but we also have the best team of professionals dedicated to helping your business improve customer communication. We’re committed to amazing customer service and constant innovation. Give us a call and let our team become part of your team. Black Dot provides services to accelerate sales. Our online interactive digital catalogs with dynamic versioning enable manufacturers to purchase one digital catalog and version it for multiple distributors. Black Dot’s hot-spotted parts diagrams enable customers to select parts directly from a system diagram. We incorporate all the information a customer needs to make a buying decision and provides a clear path-to-purchase to ecommerce sites. Working with your own diagrams or diagrams you license from Motor International, we create hot-spotted diagrams to use in apps, websites, and in-store systems. Black Dot’s rEDItrak software (SaaS) raises the bar for efficient parts management for cataloging and EDI. Custom modules extend the use of catalog data throughout a company’s enterprise, providing true efficiency to all stakeholders of catalog data. Your best-in-class print partner for catalogs, product and service manuals, and price lists! Bradford & Bigelow’s Timson presses comprises of one of the most efficient and responsive platforms in the industry. We specialize in the 8.5x11 trim size and lightweight papers, and with all bindery services performed internally, our lead times are the best in the industry. We enhance our conventional print platform with a robust in-house digital and inkjet book factory, complete with in-line finishing, including face-edge printing — further accelerating the completion and distribution of your catalogs. As an ISO 9001:2015 registered and a G7 certified vendor, our commitment to quality is part of our DNA. Our customers consistently tell us that our service, quality, and dependability is top-notch. This, combined with our competitive pricing, makes us the best total value partner. We look forward to seeing you and exchanging industry knowledge with you at the conference! Data-Driver provides content management services to manufacturers and distributors in the automotive aftermarket. Our most popular services include yearly catalog updates, Amazon ACES submissions, and complete ACES & PIES catalog setup and management, including digital asset hosting. We “drive” our customers’ data by working with their customers and distributors to ensure our customer’s data is being fully utilized and their products are being presented in the best possible light. Data Point Inc. provides Data Protection, Vaulting & Cloud Backup Services, Business Security Services & Recovery Solutions, and DataCenter Services & CoLocation Solutions. Data Reproductions is a family-owned & operated, full-service book, catalog and directory printing company based in Michigan. For over 50 years, we've offered unparalleled quality and attention to detail, utilizing both sheet-fed and web offset and digital printing. Run lengths to 100K. We have the full gamut of paper options, from groundwood and newsprint, to coated groundwood and offset. Thumb-edge (aka 'face") printing. Full bindery, warehousing and shipping/mailing options. Your complete source for catalog production! Dirxion creates interactive digital versions of printed catalogs, flyers, brochures and other literature, allowing B2B publishers to conjoin their print and e-commerce efforts in an effort to drive more revenue. Please contact us to visit with our industry experts and learn more about what Dirxion does with automotive publishers. Distribution Service Technologies (DST) is a privately-held developer of e-Business and ERP support software solutions, with special expertise in the automotive and heavy duty parts distribution and repair industries. DST is an IBM Advanced Business Partner, and we offer a wide range of technologies that drive efficiency by increasing and improving connectivity with your customers and suppliers, and have earned a reputation for developing bolt-on solutions that integrate with disparate back-end systems. This provides you with the kind of flexibility you need to efficiently manage your business. Since 1999, Elcome has been a market leading provider of global Automotive data and cataloguing solutions for the vehicle replacement parts aftermarket. Elcome believes, and is passionate about, Do It ONCE®, Use It Many Times. It is the principle upon which all our products are built and at the heart of everything we do. Today, we handle all the data management needs and produce software solutions, websites, electronic and printed catalogues for some of the Vehicle Parts Replacement Aftermarket’s biggest international brands. Epicor is the auto care industry's premier provider of business management software, eCatalog products, connectivity/eCommerce solutions, and industry analytics. PartExpert® replacement parts database and Epicor Parts Network™ B2B eCommerce solution facilitate an estimated 70 percent of parts transactions within the U.S. and Canada. We are transforming how the automotive industry uses data to drive actionable insights. We help businesses manage risk, better understand their markets, target the right customers at the right time with the right offer and keep them coming back. Providing a complete suite of products and services to enable commerce and reduce friction in the supply chain. TruSKU - a new service - is a pool of PIES-compliant product information for non-application automotive products. IHS Markit (Nasdaq: INFO) is a world leader in critical information, analytics and solutions for the major industries and markets that drive economies worldwide. The company delivers next-generation information, analytics and solutions to customers in business, finance and government, improving their operational efficiency and providing deep insights that lead to well-informed, confident decisions. IHS Markit has more than 50,000 key business and government customers, including 85 percent of the Fortune Global 500 and the world’s leading financial institutions. Headquartered in London, IHS Markit is committed to sustainable, profitable growth. Automotive offerings and expertise at IHS Markit span every major market and the entire automotive value chain—from product planning to marketing, sales and the aftermarket. For additional information, please visit www.ihsmarkit.com/automotive or email automotive@ihsmarkit.com. New for 2018 **Evokat Premier** Online Product Catalog Builders & Database Management with Increased Flexibility, Automation, Guidance and Performance. Online and On-demand Down-loadable & Reusable PDF Application Guides/Buyers Guides, XML Files, VIO Holes Report Integration. Eliminate Overmapping, Conflicts, Invalids, Holes to Eliminate Undamaged Returns. Accurately Communicate ACES and PIES Fast & Easy with Live Training and Support. DIY Mapping, Authoring, Publishing - Waiting on a Third Party for your Data COSTS! We can do it all from PIM software to mapping services and all other data management needs! Built from the ground up for the automotive aftermarket industry, PartSmart All In One quickly and accurately maps to every industry standard, including NAPA, ACES and PIES. As well as are excited to annouce conversions from TecDoc data to ACES and NAPA. We can help with any of the automotve aftermarket's growing needs in a fast and cost effective way. We're the Automotive Industry's premier full turn-key solution provider. Our products include our PartCat Catalog Management Solution as well as our MyPartFinder web catalog. Don't have time or resources to manage your data? Our Data Management Service can fill the gap as a DIFM option. We look after all aspects of your data, including data submissions and new year carry-ups, all OE data based. Lincoln Square Marketing Group is a full-service marketing company with a mission to help companies effectively grow their business, strengthen their brand identity and increase sales. Open communication is at the heart of what we do, and you can count on us to work closely with you and really listen to your marketing objectives; the better we communicate, the better your results will be. We’ll ask the right questions to ensure we fully understand your specific business needs, and then we’ll roll up our sleeves and get to work customizing the perfect mix of services to meet your goals. MOTOR Information Systems is one of the world’s premier suppliers of automotive data. MOTOR provides many millions of unique data points, in virtually any formation required by a customer, completely tailored to their business’ needs, covering all vehicles class 1 through class 8. MOTOR assembles the data and then develops the optimum solutions. MOTOR’s database is categorized by year, make, model, engine, VIN and AAIA vehicle classification. OptiCat's resources help Suppliers and Distributors to securely consolidate, validate and share product information, helping everyone to sell more parts. One Platform. One Solution. Product Data Management. Brands are racing to create content that sells in an omni-channel world. The key to your team's success is a centralized platform to manage product information. Get to market fast with rich content that reaches more sales channels and more consumers. Repeat the optimal sales experience regardless of where consumers buy. PartsHub follows the Auto Care Association ACES and PIES Standards and licensing agreements. Our products use the vehicle, part, fitment and qualifier reference tables (VCdb, PCdb, PAdb, and Qdb) provided by the Auto Care Association. These Auto Care Association Standards and Tables are used across the auto care industry to improve the flow of data between trading partners. PartsTech is a provider of next generation technology which is used to help technicians find the correct parts in a single search - without the time consuming, frustrating process typically associated with auto parts ordering. Power Systems Research (PSR) is a respected leader in market research, data development, and the analysis of global production forecast data in the vehicle and power equipment industries. Since 1976, PSR has provided production, forecast and population data for vehicles and the mobile and stationary equipment operating in 13 global industry segments. Data also includes information on a wide range of IC engines, as well as battery-electric and hybrid drive powertrain technologies. We track components and aftermarket parts used in the production and service of vehicles and equipment. The components include Transmission Data, FIE, Turbochargers, Batteries, Tires, Axle & Differential Fluid Specifications, Engine Lubricants, Emissions, Cylinder Block and Head Materials. Our clients use this information to successfully identify growth opportunities and market trends, measure market potential/share, and reduce risk when making decisions affecting the growth and success of their company. Pricedex is the leader in providing Product Information Management solutions to the automotoive and commercial vehicle aftermarkets. We also provide professional tools and consulting services in all aspects of Product Management, Pricing, Cataloging and Business Workflow. Our product suite includes PIM and electronic catalog tools to help you provide the best and highest quality content to your markets. Ask us about AutoPIM Pro, the aftermarket's leading PIM Software application - available to small, medium and large enterprises. We are also the project managers for the HDDA Heavy Duty Product Information Standards Project. Come talk to us to see how you can become involved. Product Data Command (PDC) is a premier provider of Product Information Management software and service solutions. We have developed a powerful product data services practice that is comprised of a proven set of service solutions. Our expertise lies in our ability to tailor strategies to effectively present and sell products on-line by using our proprietary tools and our product information management knowledge. PDC can equip your entire supply chain with the tools and knowledge needed to effectively sell more products. Our professional services team works with vendors and receivers to determine precisely what’s needed to accelerate e-Commerce performance. The net result is a streamlined product information flow between vendor and receivers that produces comprehensive product pages that dramatically improve the customer’s on-line buying experience. Snap36 provides the complete solution for 360° photography services and studio equipment. As the only provider dedicated to high-volume product photography and studio automation, Snap36 captures product images more efficiently than traditional photography processes. Snap36 offers photography services at its Chicago studio, on-site photography services at client distribution centers, and distributes equipment solutions for client studios. Solenium provides content management software and data mapping services to the automotive aftermarket, since 1984. Over the years, Solenium has focused on building a team of data specialists and software developers capable of delivering technologies that truly address the challenges facing the industry. Visual SKUs’ Amplify is workflow software for managing high-volume product photography and image production projects, managing and sharing digital assets centrally, and distributing product images and other digital assets to ecommerce marketplaces. Visual SKUs product photography services has produced millions of still and 360 product images for some of the largest companies in the world. Right Data. Right Now. It’s a simple promise, but a critical one and one that Syndigo can deliver like no one before based on our commitment to being a client-centric organization. As the first unified solution for content management, syndication, analytics, and verified product information, Syndigo is raising the standard of what great product experiences can be. Syndigo’s family of companies together represent the industry’s only trusted single-source provider of consumer product information and content from supply chain to end customer utilization, offering a powerful end-to-end product content experience across multiple industries. Visit Vertical Development / ShowMeTheParts in Booth 109! We will be showing our popular vCatalog PIM Solution manufacturers use daily to manage their application and product data for publication to Print, ACES, PIES and NAPA PartsPro formats, and our DIFM Solution where we help companies manage their data, and our ACES, PIES, and NAPA PartsPro services that help clients get their Excel or other data files into industry standard format for their trading partners. We also support the Sell-Side through ShowMeTheParts where we have published data for more than 320 Manufacturers covering more than 4,320 Part Types – this data integrates to solutions like GCommerce for manufacturers needing a direct sales tool for their distributors, ChannelAdvisor for Marketplace Sellers needing enhanced data to improve their listings on Amazon, eBay, Walmart.com and more, and Amazon where our vCatalog Systems, Data management, and ACES Mapping Services help clients deploy their data to Amazon. WHI Solutions your source for E-Commerce in the automotive aftermarket. Our econtent solutions in the Car & Truck, and HD Spaces helps Manufacturers and Distributors alike drive their businesses forward. WHI is committed to increasing your ROI through teamwork, honesty and respect. The WHI Catalog is an intuitive content rich prospectus for your automotive data, which is ever expanding in the B2B, and B2C market places. Solutions include e-Commerce, eCatalog, Distribution Management and Business Intelligence. Our core customers are Automotive and Heavy Duty Parts sellers and Service Providers. Technology solutions for ACES, PIES, PartsPro and Print as well as advanced mapping and digital asset management tools. Contect us for a free evaluation of any of our products. Auto Care Association Staff will be at the registration booth to provide your name badge, information about the conference and answer any questions you may have (including how to download and use Auto Care's Event app!). Also, be sure to grab an ACPN Community Pin to show your support of ACPN! Learn about the ABCs of technology with respect to your job. Learn how others have conformed to the industry Standards and avoid the mistakes others have experienced. The ACPN Boot Camp kicks off the conference providing the foundation, or a refresher, for the Auto Care Technology Standards of ACES and PIES, and their supporting databases (VCdb, Qdb, PCdb, PAdb, Brand). Additionally, this session will introduce you to the Auto Care Association Technology Department Staff and how to make changes to your industry Standards. This is a high-level session recommended for first time attendees or those new to the industry and/or content management space. However, all are welcome. First Time Attendees are invited to a special meet-and-greet reception and orientation. This informal gathering is a great way to meet the ACPN committee and learn helpful tips on how to get the most out of the conference. Kick off the 46th Annual ACPN Knowledge Exchange Conference with cocktails and conversation in a friendly atmosphere. Catch up with old friends and make new ones! This is an ideal time to develop and grow your network. Enjoy a late night chance to confer with your fellow ACPN members or the kind folks at APA Engineering. Don’t miss your last opportunity to make important and lasting contacts. The Hospitality Suites provide attendees a place to meet, relax and enjoy refreshments at the end of each conference day. Join our Chairman as he opens the 46th annual ACPN Knowledge Exchange Conference with helpful ideas on maximizing your time, navigating the mobile app and some exciting new initiatives the ACPN Committee has been developing over the past year. A brief overview of each session so you know what you're getting into and what you'll get out of it! Sponsored pick-me-ups between sessions. Network, recharge and enjoy. Learn how staying compliant with PIES allows you to improve channels that don’t even accept PIES! This session will give you an overview of the most important PIES segments and best practices. Working on clean data leverages its value and ROI. Let's take an hour and reach into the MS Excel's database filtering features along with formula writing and formatting techniques.This will enhance the Automotive Content Professional's data manipulations toolbox. Are internal vehicle tables slowing you down from selling more parts? What’s keeping you from adopting the standards? This break session will talk about these questions and more. The necessity to create New Part Number for New Products and release those products to the needy automotive industry is an exciting endeavor for any company. And when speaking of the life cycle of a part/part number this is a good place to start. However when you follow the trip that an auto part takes through its time in the world, what happens to its catalog cohort when it needs to be modified so that it can fit additional applications, or a better design is introduced, and even when the part has such a limited scope of applications that it no longer makes the manufacturer any revenue, or perhaps is discovered to be a flawed design. If a relational database sounds like a foreign language, come to this class to learn what it is and how you can use it in your daily work life. The Weird and Mysterious World of Vehicle Configuration Tables: A collection of some of the odd and confusing things about vehicles and in vehicle tables that you may have wondered about. Get some answers and present better data to your customers. You know your way around a catalog, and you have experience using vehicle configuration tables (like ACES or NAPA). Or maybe you don’t, but you want to know more. This presentation is a collection of some of the weird, mysterious, and confusing things in vehicle tables that you may have always wondered about. We will also dig into some of the odd ways that manufacturers badge and present their vehicles. Let’s solve some of these mysteries so that you can present better vehicle fitment data to your customers and sell more parts. Hear details about key trends shaping the automotive aftermarket now and into the future. This session is designed to highlight major trends in the vehicle market that are affecting the global automotive aftermarket. Product Images Are More Important Than Ever for E-Commerce Success. This session will update you on the state of standard product images and provide details on the production, management, and distribution of 360/3D product images. Most aftermarket companies understand the impact of high-quality product images on their e-commerce success. If your customers can view your products from multiple angles sales will increase, returns will decrease, and your competitive position will be strengthened. Is 2019 the year for 360 and 3D product images? The aftermarket industry is becoming aware of the power of a rotating 360 view of your products. It is important to understand what 360/3D images are, how are they produced, and how they are sent to your trading partners. This session will explore the top content trends influencing the Automotive Aftermarket and how they can/will present challenges on your content journey. Retail and supplier consolidations have presented a unique environment as brands, process, and solutions come together. The exponential growth in e-tailing and needs for retail to unique consumer experiences will put growing resource pressure on content departments. What happens after a year, make, model look-up? How do you differentiate your brand? We will reflect on a case study that give a glimpse of what the future will bring. In this session you will hear about some initiatives for ACES. Do you have questions about ACES 4.0 and Off High Equipment? Come to this session to get them answered and bring your ideas of what you need to see in ACES to help sell more parts. As the breadth and nature of catalog work has changed, much of the tribal knowledge about bootstrapping a catalog team has gone obsolete. A modern, flexible team spans multiple disciplines, making it even more difficult to find people with experience assembling all the tools and individuals necessary to accurately and reliably launch a new effort. For those growing a team beyond its original boundaries or starting from scratch, we'll share the lessons we learned during our own ground-up experience. We'll detail the types of data to account for, the tools and systems you'll need, the skills to look for as you hire, how to work within your organization, and what to watch out for. For those somewhere between launch and the next level, we'll touch on where you go after the start, and share some guiding principles to help make sense of new situations. Bring your own data to this meeting. You have been playing around with Access for years however you would like to take your data and skills to the next level. Get some Tips and Tricks as we work together to help you tackle your data issues. What happens to your data the moment you hit the "Send" button and how are your customers utilizing it? This session will discuss how to make the most of your customer relationships and drive productive engagement. Know You Data. Know Your Customer. Come join YANG and your industry peers for this sea side networking reception on Harbor Island, just steps away from the ACPN conference. This event is open to YANG members and YANG mentors. Not a member? No problem. Join for free at the Meet-Up! Celebrate the 46th Anniversary of ACPN with friends and colleagues from across the industry. Welcome newcomers and catch up with old acquaintances while enjoying dinner and an evening of great entertainment. At the end of the evening, the Chairman’s dinner transitions into the Monday evening Hospitality Suite. Enjoy a late night chance to interact with your fellow ACPN members and the generous folks from IHS Markit. The Hospitality Suite provides attendees with a place to relax, network and enjoy refreshments at the end of each conference day. Michael Gines is a multilingual, international manager with over twenty years of experience outside the United States. Responsible for the auto parts business of Grupo Kuo within Mexico and export markets worldwide. Managing a team of 2000+ employees, including marketing, sales, supply chain, distribution, manufacturing, HR and finance. Michael Gines, Kuo Aftermarket and Dacomsa Director, will provide insights about the challenge of Cataloging, Product Content and master data in Mexico and Latin America, how Technology Standards helped to build the new Company Catalog for the Mexican and Latin American Aftermarket. The ACPN Content Excellence Awards will recognize the best examples of cataloging in the vehicle aftermarket. See who is awarded for 2019's best Paper, Web and ACES & PIES Data Awards. The Care Care Professional's Network (CCPN) is a segment community of the Auto Care Association, which provides a structure to foster and promote communications between car care professionals and manufacturers, distributors, retailers and other members of the Auto Care Association. The CCPN Fireside Chat is an exciting opportunity to connect people on the other side of catalog data. The discussion will provide an in depth look to the day in the life of the repair shop. You'll get to understand how cataloging supports the operations of the repair shop, and begin to understand their points of pain. This session will provide a dynamic perspective on catalog data and its real world impact. The Tuesday Vendor Trade Show provides exhibitors and attendees the opportunity to discuss activities, best practices, and cutting edge initiatives in the industry. A highlight of the annual conference is the opportunity to explore the technology products and solutions offered by nearly 40 vendors to the content management profession. The learning lounge is available for those needing to re-charge with informative videos and comfortable chairs. This reception is located in the Vendor Trade Show. 2019 ACPAC Donors have access to this reception only. ACPAC will be taking donations onsite. The Auto Care Association's Political Action Committee (ACPAC) provides our members with an easy, powerful way to get personally involved in the political process. To learn more about ACPAC and Auto Care Association's advocacy efforts, please visit the ACPAC area in the vendor trade show and/or click here. You asked for it and we listened. Enjoy beer and wine during the last hour of the trade show while you wrap up those last minute conversations with your suppliers, vendors and customers. Enjoy a late night chance to confer with your fellow ACPN members or the kind folks at JNPSoft. Don’t miss your last opportunity to make important and lasting contacts. The Hospitality Suites provide attendees a place to meet, relax and enjoy refreshments at the end of each conference day. Sit down to a full buffet breakfast to start your day off right. The ACPN Content Excellence Receiver's Choice Awards recognize suppliers of the automotive aftermarket for their exemplary contributions to the industry and content excellence. See who wins the Receiver's Choice Awards on this final day! Change is happening at an accelerated pace. Workload and competition are increasing. Workers are getting lost in competing priorities, complexity, and growing competition. The rate of workplace burnout is rising and as more gets added to people’s plate, priorities get lost. Constant “busyness” is a result of nonstrategic thinking and unintentional action. We have to learn how to prioritize and plan! Determining which projects are a priority can be a constant struggle in a world where “everything is a priority,” and everyone is feeling the pressure of time. Saying “no” to the unimportant requests will allow you to focus on what matters.Our daily confidence comes from progress. When we focus on “winning the day” and let go of outcomes we can’t control, we see a boost in productivity and happiness. As a result, we can identify the vital few activities among the trivial many. 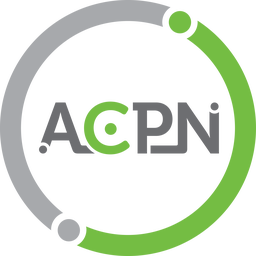 The Automotive Content Professionals Network's (ACP) designation program codifies and accurately defines the skills and experiences to become a professional content manager. It denotes a path that professionals can follow in order to develop the skills, contacts, and knowledge that define today's content-management professional. Join us as we honor the ACP graduating class of 2019. Visit www.northwood.edu for more information. This award recognizes organizations that are supplying high quality content including ACES, PIES, digital assets and other customer specific formats. Honorees are selected for their exemplary content and are leading the way in integrity, accuracy, timeliness, completeness and best practices. Join us to discover who will take home these coveted awards in 2019. This session will provide a view of the past, present and future of aftermarket content. Learn why we are on the verge of a disruption to the way we manage and distribute data in the aftermarket. Understand why our expectations for what it takes to win at content must change in order to lead, both today and into the future. All good things must come to an end. Luke will close out the conference with some final remarks and reveal our 2020 location!